So, this must be what it's like to be LeBron. For the third time in eight days, the Furman men's basketball team was all over ESPN SportsCenter Saturday night. This time it came after the Paladins stunned eighth-ranked and reigning national champion Villanova, 76-68, in overtime in Philadelphia. All five starters scored at least 13 points as the Paladins improved to 5-0, it's best start to a season in 31 years. It's the highest-ranked team Furman has defeated since a win over No. 5 Davidson in 1965. 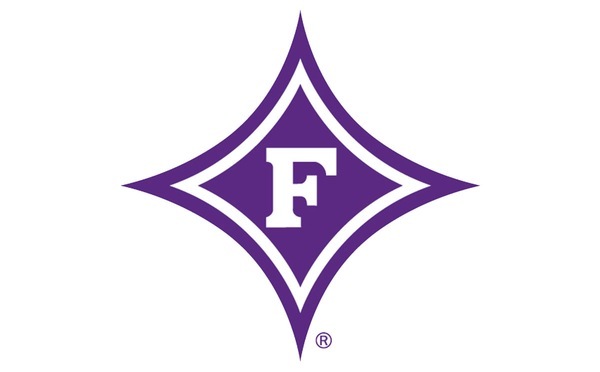 Eight nights earlier, Furman created national buzz with a win at the other 2018 Final Four participant on its schedule. 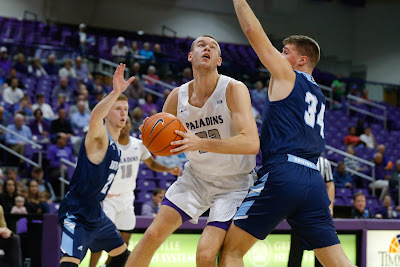 Clay Mounce's last-second dunk lifted the Paladins to a 60-58 win at Loyola-Chicago. On Thursday, Jordan Lyons had Furman basketball trending again as he tied the NCAA record for most 3-pointers in a game with 15. It was a game in between those two that received no national attention but turned out to possibly be a big factor in Saturday's win. On Tuesday, the Paladins blew a 14-point lead but found a way to pull out an overtime win against Gardner-Webb. That was Furman's first overtime victory in seven years. Now the Paladins have two in five days. "The way we won Tuesday night's game helped us tonight," Furman coach Bob Richey said. "With dealing with the adversity in overtime Tuesday night being so fresh, it gave us a lot of confidence going into overtime. "If you can get a group of people that buy into being connected, playing together, loving each other and trusting each other, you really get to experience things that are bigger than you. I think that's what this night shows us. We get a lifetime memory of being able to do something that we could only do as a group." With the Paladins facing their third game in five days Saturday, Richey essentially gave the team the day off Friday. Instead of practicing together, they toured different historical parts of Philadelphia together. Villanova (2-2) was coming off a 73-46 home loss to Michigan in a rematch of last season's national championship game. Given the Wildcats' previous result, there could've been a thought that they were going to take their frustrations out on Furman. But the well-rested Paladins quickly showed they weren't there to be anyone's punching bag. A 3-pointer by Mounce staked Furman to an 8-2 lead three minutes in. Villanova came back and led by as many as 10 in the first half, but a pair of Noah Gurley free throws with five second left cut the Wildcats' lead to 36-31 at the break. Furman opened the second half on a 7-0 run on a layup by Matt Rafferty, a 3-pointer by Mounce and a jumper by Lyons that put the Paladins up 38-36 with 16:36 left. From that point no team led by more than four until Alex Hunter's 3-pointer with 4:40 left gave Furman a 58-53 lead. The Paladins didn't make another field goal the rest of regulation, but Lyons hit a pair of free throws to tie the game 60-60 with 48 seconds left. Furman had one last chance to win it in regulation. After Hunter's 3-pointer missed in the final seconds, Villanova was called for hooking Rafferty's arm on the rebound with two seconds left. That was the Wildcats' seventh foul of the half sending Rafferty to the line for a 1-and-1. Rafferty could do no wrong on Saturday, but his front end free throw went in-and-out no good. Rafferty swatted away Villanova's last second lob attempt and the game went to overtime. As the teams gathered together before the extra five-minute session, the poised senior showed no signs of lamenting his miss. "He came to the bench going to overtime and had this big ol' smile on his face," Richey said. "The positivity of the break before the overtime started is what won us that game. "Our ability to flip the script and not worry about the missed free throw, we just continue to do the next right thing. That's what has been so great about being around this group." It's as if Rafferty smile told his teammates he knew what was coming. Mounce hit a three to put Furman up 65-63. Lyons hit a jumper with 2:45 left to push the lead to four. It remained a 67-63 lead when Lyons' layup was blocked with 1:22 left, but Rafferty made his 17th rebound of the night his biggest. After working more time off the clock, Rafferty drained a fadeaway jumper along the baseline as the shot clock expired. That staked Furman to a six-point lead with 50 seconds left to essentially seal the Wildcats' fate. The Paladins hit 7-of-8 free throws over the final 39 seconds to seal the win. Lyons only hit one 3-pointer Saturday, but found his points in plenty of other ways as he finished with a team-high 17. In addition to his career-high 17 rebounds, Rafferty had 15 points, four blocked shots, three assists, two steals and zero turnovers. It's the fourth game this season that Rafferty hasn't had a single turnover. "Jordan was great. They were really pressuring him trying to make him bounce it and to his credit, he did bounce it. He drove it to score it. This is just the dividends that he's getting for all the work he did in the offseason," Richey said. "Matt just doesn't get fazed or rattled. He had 17 rebounds against one of the elite offensive rebounding teams in the country." Mounce finished with 15 points and three steals, while Hunter scored a career-high 13. Gurley had a sensational linescore with 13 points, eight rebounds, four assists and just one turnover. Furman limited Villanova to 33.8 percent shooting from the floor (24-of-71), including 30 percent in the second half.